Bombardier, based on the recent General Aviation Manufacturers Association’s (GAMA) annual shipment and billings report, states its Challenger 350 in 2018 was the world’s most delivered business aircraft. With 60 deliveries last year, the Challenger 350 comprised 58 per cent of all deliveries in the super mid-size segment. “This is the second consecutive year that our best-selling Challenger 350 business jet has led the pack in the super mid-size segment and in business jet deliveries worldwide across all segments,” said Peter Likoray, senior VP, worldwide sales and marketing. Bombardier also delivered 23 of its large-segment Challenger 650 business jets in 2018, and its first Global 7500 introduced in December of last year. 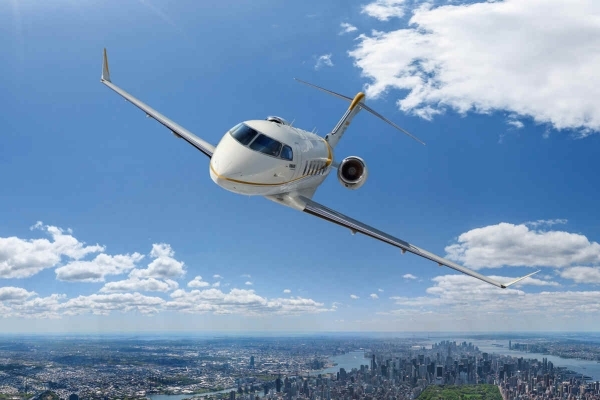 The Challenger 300 series aircraft, according to Bombardier, had more deliveries in the last decade than any other business jet platform, surpassing the 700-delivery mark worldwide in 2018. Bombardier explains the Challenger 350 is designed to access challenging airfields with a takeoff distance of 1,474 metres (m) and a landing distance of 721 m. The aircraft holds a range of 5,926 km at its cruise speed of March 0.80 (with eight passengers and two crew). The Challenger 350 reaches a top speed of Mach 0.83.